I just finished a Holiday Themed Science Stations pack for TPT. In this pack I created activities for the FOSS mixtures and solutions unit. I included a holiday chromatography activity which separates the mixtures in a marker. I also included a Mrs. Claus mixture activity that has the kiddos figuring out what mixture is the right one for her to make cookies. 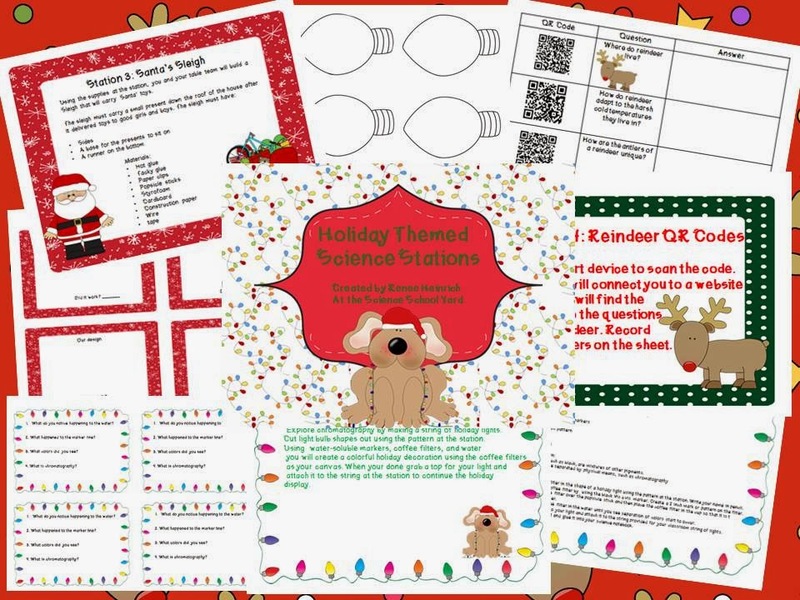 Also, there is a QR code activity allowing students to use a smart device to answer questions about reindeer. Last, but not least I also included a STEM activity that has students building a sleigh for Santa. Hope you enjoy!